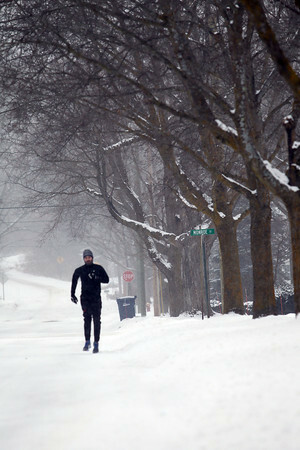 "I love the cold," said John Hall during a run down Jefferson Street in Traverse City on a Monday afternoon that saw temperatures in the single digits. Hall said he was running after a foot injury forced a break. "I'm just glad to be out here," he said. Tuesday's forecast calls for highs in the single digits and more snow.